“Recipe for Instant Art Work: Take a Cadillac, Add Cement,” reads a Chicago Tribune headline from January 17, 1970. The reporter was referring to the German artist Wolf Vostell’s “Concrete Traffic,” a 1957 Cadillac encased almost entirely in cement. The piece, the largest Fluxus art object in existence, is about to receive a new life. The University of Chicago has been working to restore the sixteen-ton sculpture since 2012. 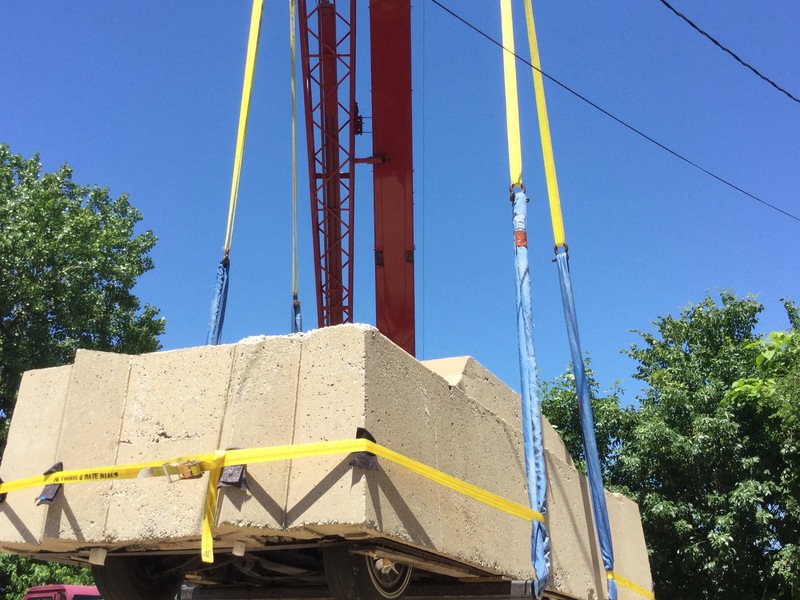 On September 30 the repaired work will be unveiled and a series of events, aptly titled “Concrete Happenings,” are planned throughout the coming academic year. “Concrete Traffic” was initially conceived for a two-person show in 1970 at the Museum of Contemporary Art. True to its form, it was on display in a public parking lot at the corner of East Ontario and St. Clair streets (the current site of The Arts Club) for several months, accumulating a fair share of parking tickets, or so the story goes. (The MCA insists that its parking was paid for by the institution for the entire run of the exhibition, but sources at the University of Chicago say otherwise.) The still-young institution was not yet building a permanent collection, so the MCA knew the artwork had to find a more permanent home. The artist and the museum agreed to gift the item to the University of Chicago. “In order to express what is happening to civilization today, Vostell selected the Cadillac as the epitome of the American auto,’” Michael Kilian’s 1970 Tribune story reads. 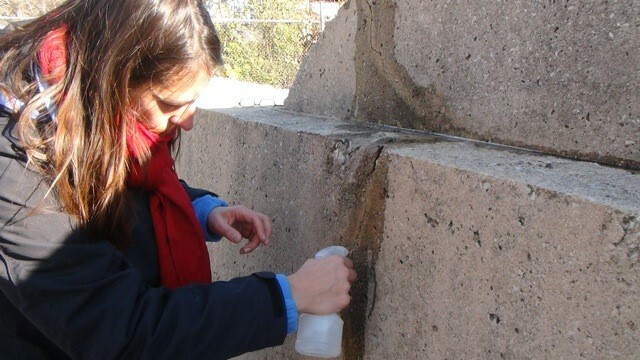 He poured concrete on it, Kilian wrote, “to symbolize traffic congestion.” Christine Mehring, an art historian and Chicago’s faculty director of “Concrete Happenings,” thought Vostell’s use of concrete one of the most compelling aspects of his work. Prior to these sculptures—he made four automobile works in all—he was known mainly for his early use of video and for his “happenings.” His use of the common construction material will be the subject of “Vostell Concrete,” an exhibition opening at the Smart Museum in January. “Concrete Traffic” was first a happening. 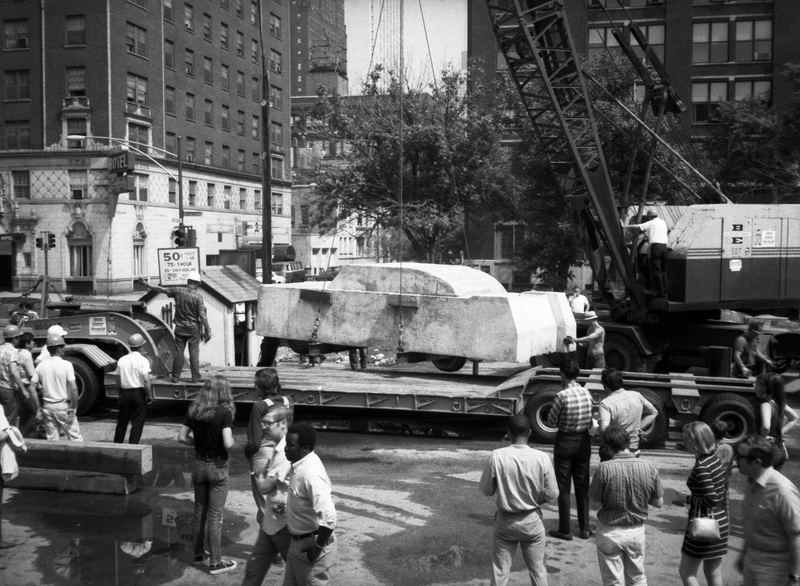 In 1970, a crowd gathered in the parking lot to watch the concrete being poured over the vehicle. Its move to the University was also documented through photo and film, Zaher says. “The sculpture has all these lives and gets reanimated every time it moves,” she says. Events for “Concrete Happenings” will occur through spring 2017 throughout the University of Chicago campus.